Many different companies use aerial platforms to perform various tasks. 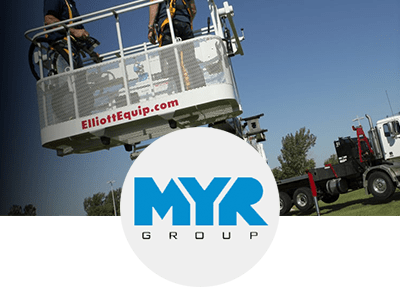 Elliott Equipment Company’s unmatched design flexibility ensures its customers get the right tool for the job. 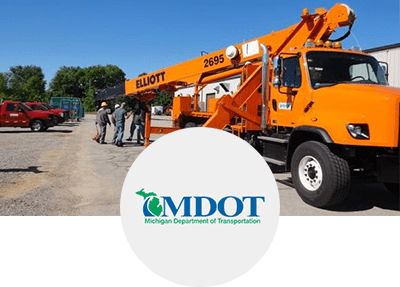 The MDOT’s custom Elliott machines provide the versatility and power needed to manage a major highway network. 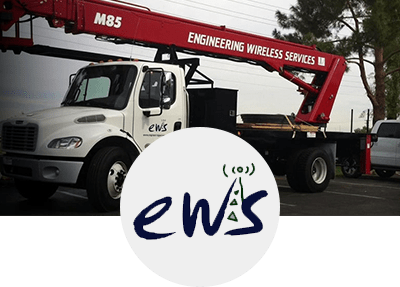 Collaboration between Elliott Equipment Company and a nationwide electrical contractor resulted in a one-of-a-kind aerial that boosts efficiency on the job. 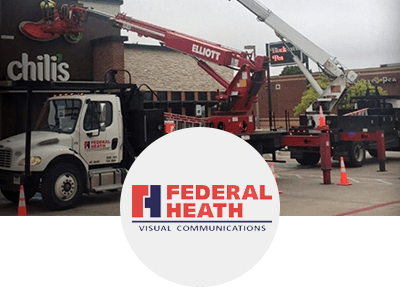 A sign and lighting company serving the Austin, TX area chose a fleet of Elliott machines because they feature superior design. The best customer service in the industry helps, too. 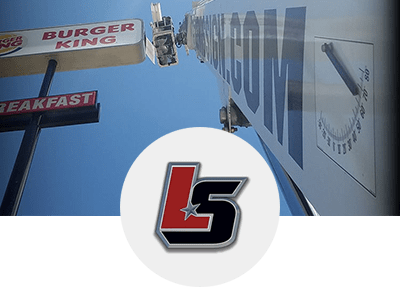 With a fleet of Elliott HiReach lifts leading the way, a national sign and lighting service firm has slashed labor costs and project timelines. 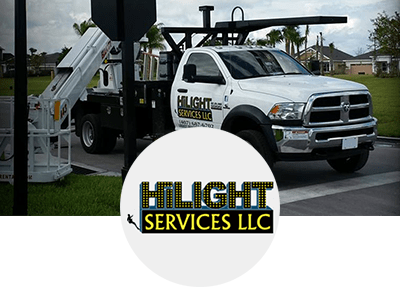 A small Florida sign and lighting company’s choice to purchase an M43 HiReach pays off in job site efficiency, new business earned and a reputation for quality work. 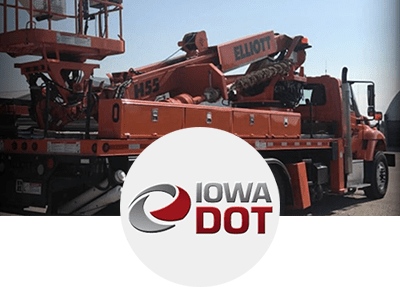 Iowa Department of Transportation workers say the Elliott H55 on their fleet makes their jobs more efficient and enhances highway safety for drivers. 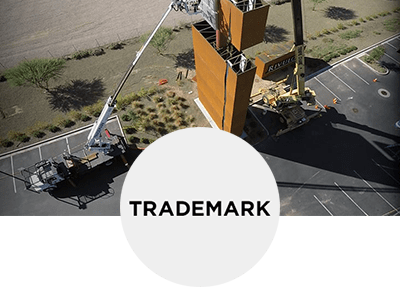 To stay on top of the sign & lighting needs in the growing Phoenix, AZ economy, Trademark Visual, Inc. chooses Elliott Equipment Company machines. In fact, they’ve never used any other brand. 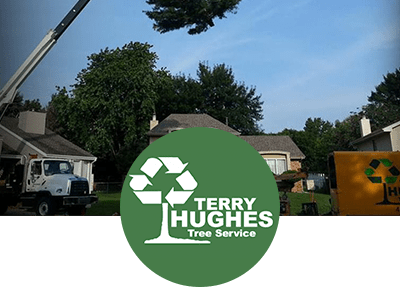 An Omaha-based tree service stays ahead of the competition with an Elliott crane that can do more jobs on more sites.